Video forensics has always been a part of video analytics and video surveillance analysis. With today’s evolving technology, Video forensics has gotten very far and is helping security teams around the world analyze hours of surveillance footage in only minutes. 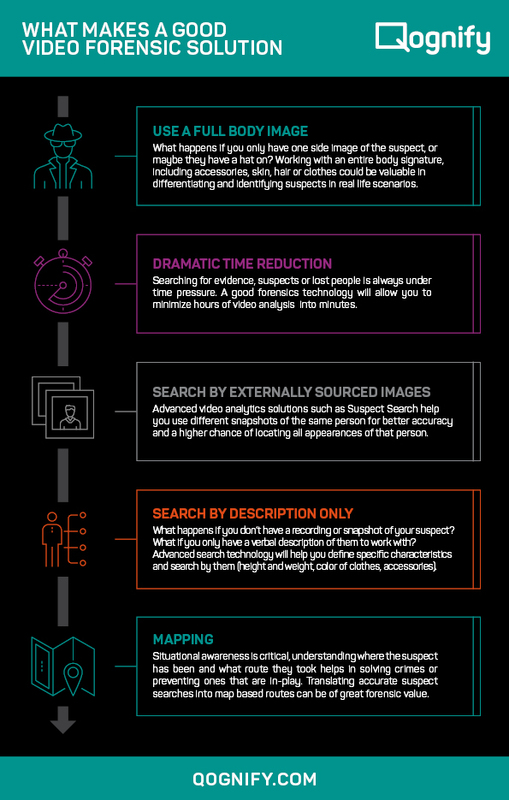 This Infographic explains what a good video forensics solution includes in order to make the most out of it.